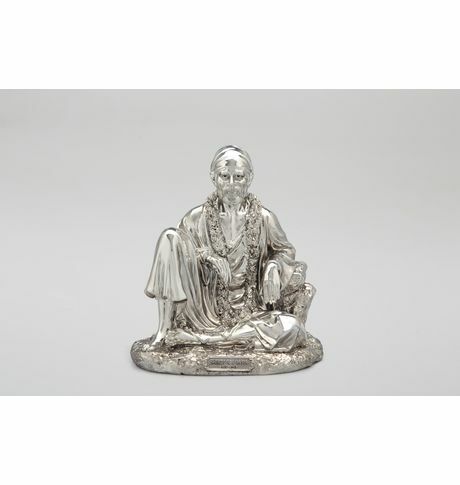 Distinctly designed, the beautiful Sai Baba idol is an absolute must have for any home. The peaceful idol with its artistic and elegant structure will attract its onlookers and will also prove to be a charming show piece for any areas.Easy to maintain. Distinctly designed, the beautiful Sai Baba idol is an absolute must have for any home. The peaceful idol with its artistic and elegant structure will attract its onlookers and will also prove to be a charming show piece for any areas.Easy to maintain.Cancellation and Return Policy: • Exchange allowed post booking • No order cancellation or Refund transaction allowed at the store.